Following Fenrir’s announcement of internationalizing their Sleipnir browser just a few days ago, now Japan-based Lunascape announced today they opened an office in the USA to promote their web browser of the same name more efficiently overseas. Lunascape, Inc. with a capital stock of 300,000 USD will be located in Silicon Valley. Founder and CEO Hidekazu Kondo will lead the subsidiary. He will continue to direct operations in Japan. 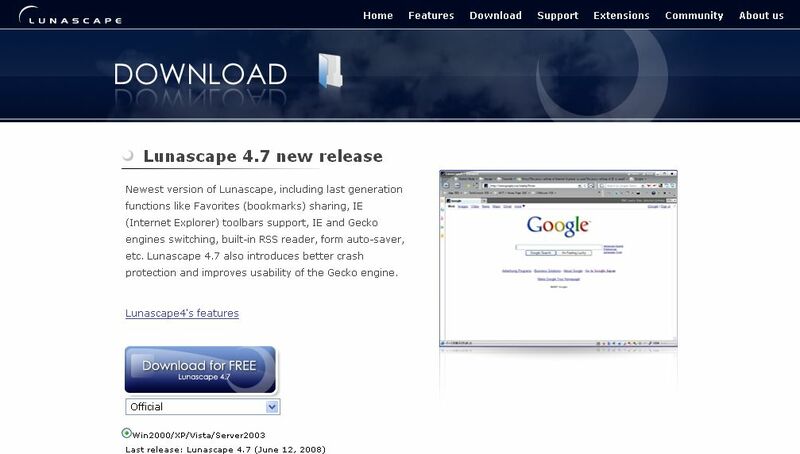 The Lunascape browser is available in English (version 4.7). Good luck, but they’ve got their work cut out for them.